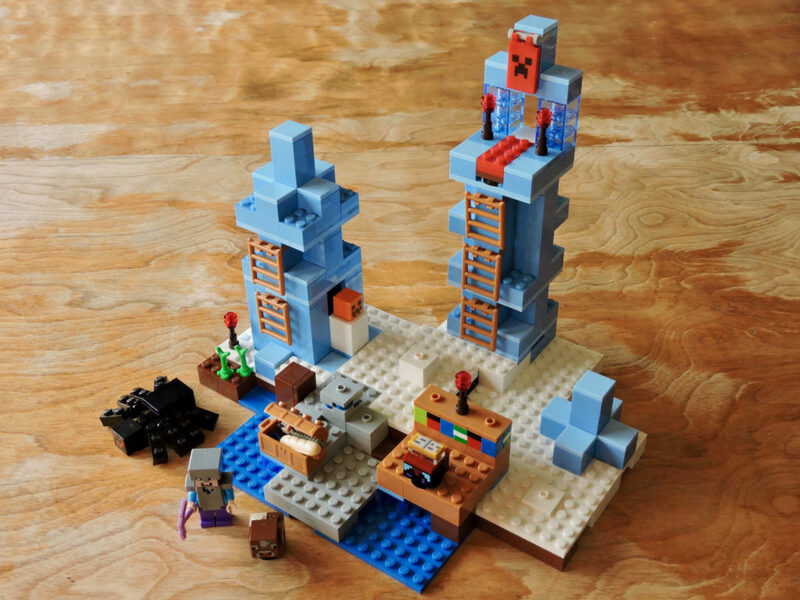 I continue to be impressed with LEGO’s Minecraft sets. 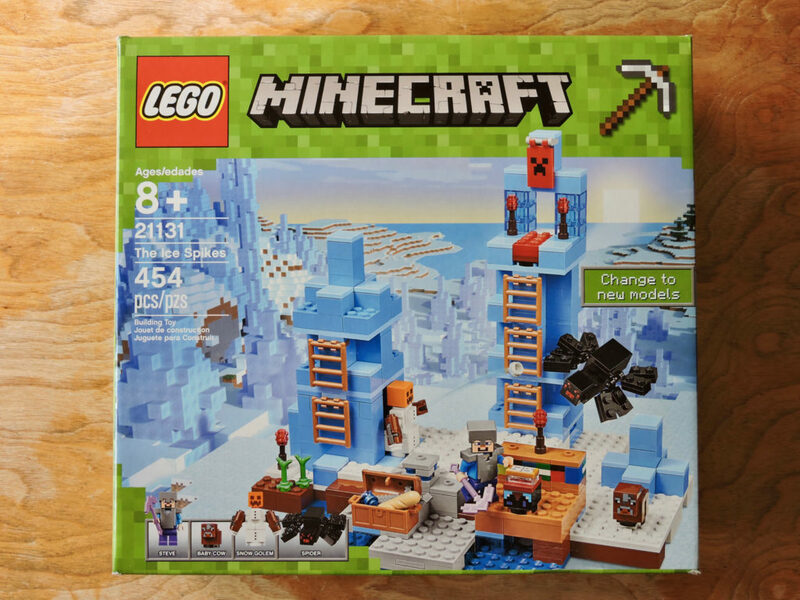 My Minecraft loving kid loves the play functions of these sets and how easy they are to reconfigure. I on the other hand saw a huge box of medium blue bricks and had to check it out! The bags don’t disappoint. So much medium blue in bags 3 and 4. Not to mention some tasty elements in medium nougat. 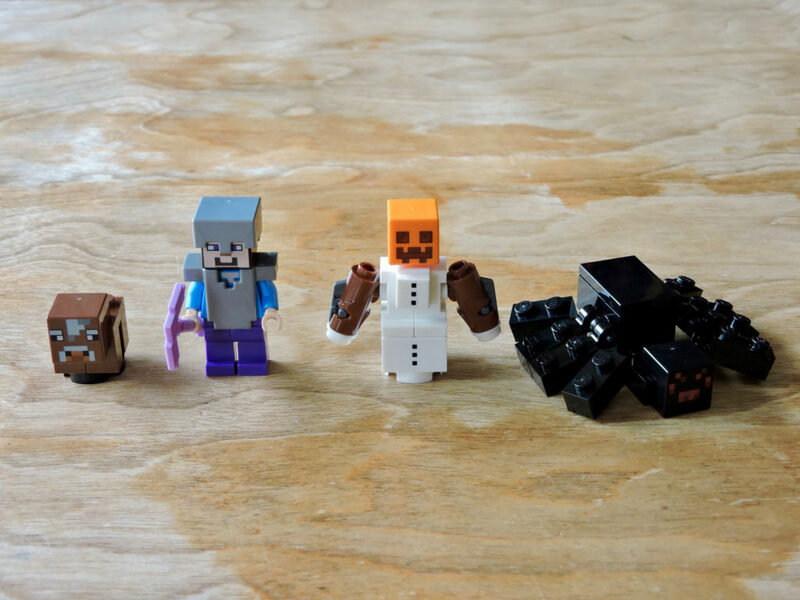 The set includes a nice mix of mobs. The baby cow is nice and the Steve comes with an enchanted pickaxe, which is unique to this set (and the first enchanted item). 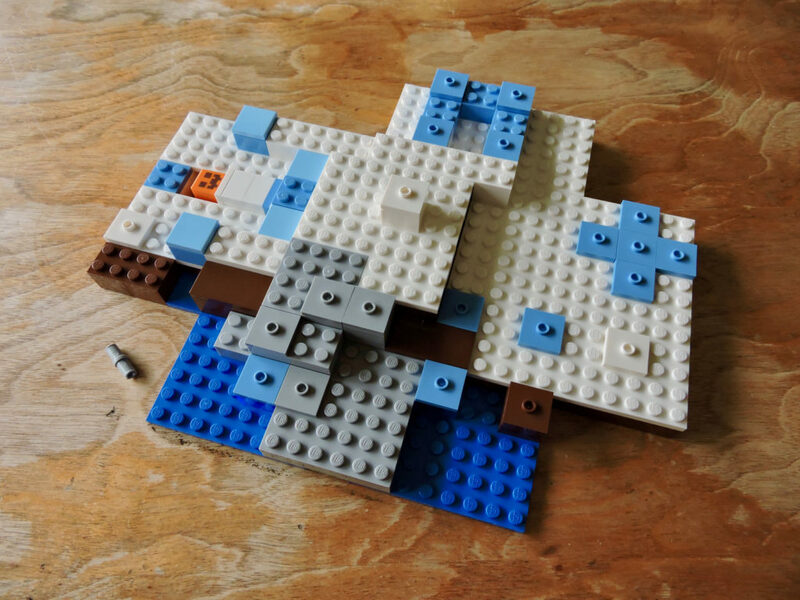 The snow golem has been redesigned to use the newer 1×2 plate with neck post. The spider uses one of the new 2×3 tiles on the back, but is otherwise the same as its previous incarnations. In addition to the mobs, bag one builds all of the furnishings. The real gem here is the enchantment table. It uses a pair of printed bricks and a printed pearl gold tile and looks great. A lot of nice extra elements here too. This set is chock full of unusual elements in many shades of blue. Those panels and the 4×4 with studs along one edge are new in bright blue. 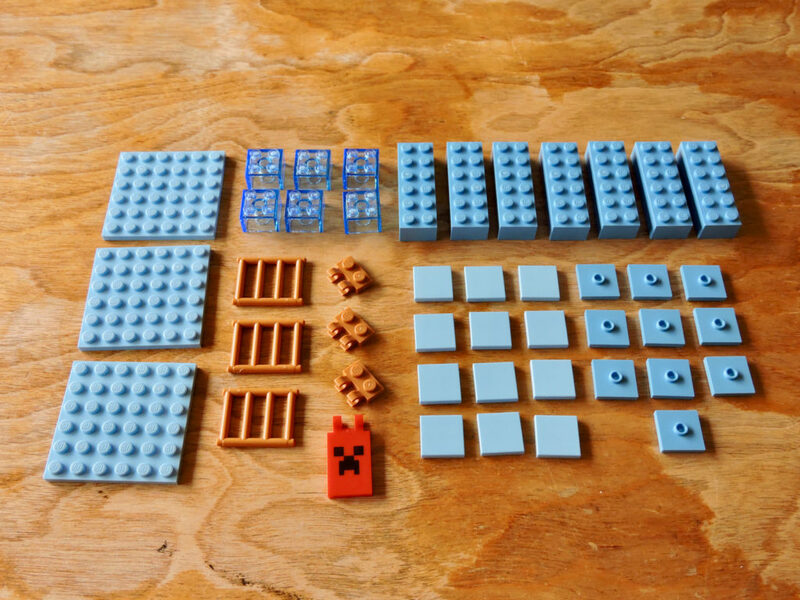 This set includes 33 of those medium blue 2×2 jumpers, 32 2×2 tiles in light royal blue, and 8 2×2 bricks in transparent fluorescent blue. None of those elements are unique to this set, but they have only appeared in one or two other sets and rarely in quantities more that one or two. Bag two builds the a snowy base that will serve as a foundation for the rest of the model. 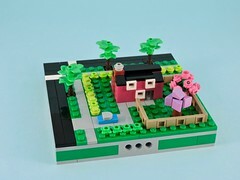 Like most Minecraft sets, there isn’t much in the way of novel building techniques, but the modular design is a lot of fun. Bag three adds a few more exclusive elements. 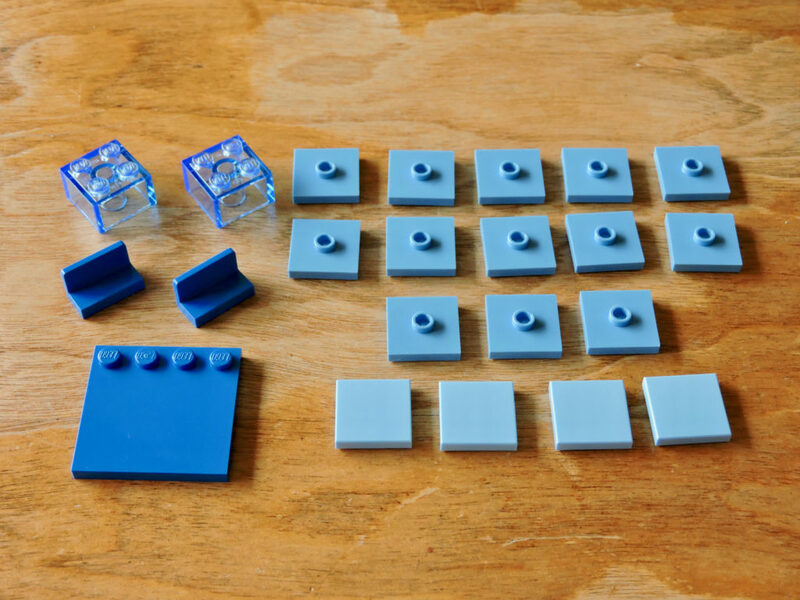 The 6×6 plates in light royal blue and the window bars in medium nougat are new with this set. The 1×2 plates with two clips and the creeper face flag have both appeared in one other set. 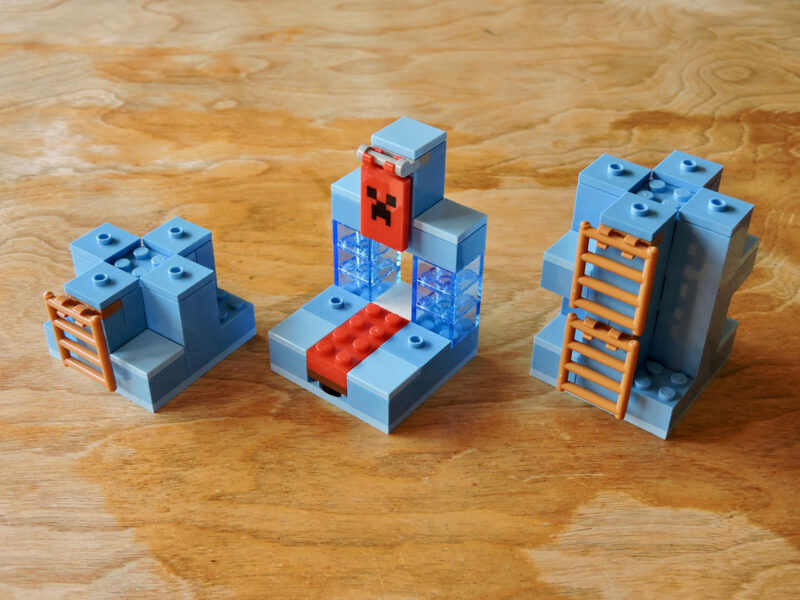 The medium blue 2×6 bricks are new as well, as the onslaught of blue continues. Finally, we get to build some of the ice spires. The medium blue and light royal blue look fantastic here, really capturing the frozen look. These three modules can be stacked to let Steve sleep on high ground. 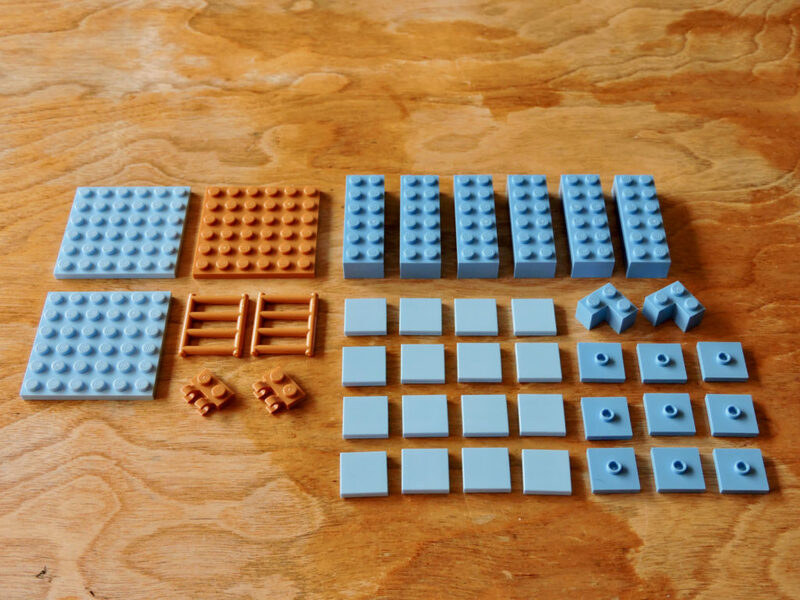 The last bag adds just a couple more interesting elements: the 6×6 plate in medium nougat and 2×2 corner bricks in medium blue. Neither one is unique, but certainly not common. 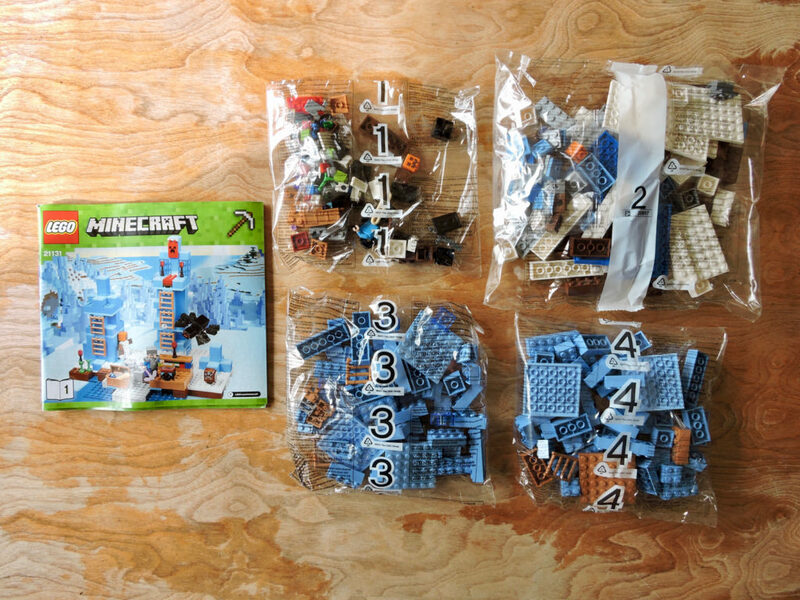 The last bag builds out the second ice spire and all the other details, like the enchantment station. 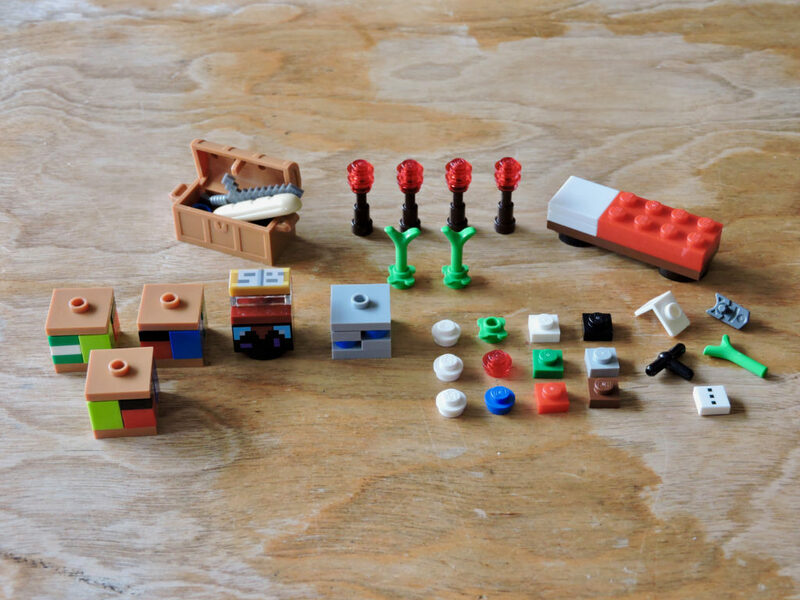 Much like the Nether Railway set, the model can be rearranged by swapping the modules around. There is also a fun play feature that allows Steve to animate his snow golem to protect the area (much as they did in the Iron Golem set). 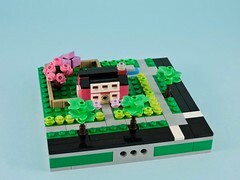 This was another great set for Minecraft fans and has all the makings of an excellent parts pack for AFOLs.